Game and fisheries experts are tasked with finding the right balance when it comes to fishing in state-owned waters. Their work is directed by a Game and Fisheries Manager, who makes quota decisions on how many traps are allowed in a water area or how many recreational fishing permits are issued, for example. The work of the Game and Fisheries Manager is supported by a Senior Fishing and Fisheries Management Officer. Catch feedback collected from anglers is vital in the planning of fishing activities. 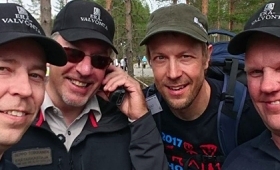 Fishers can easily submit catch reports at Tuikki.fi. Fishing arrangements and limitations are a central part of fish stock management and the actual fishing that is done at different fishing destinations. 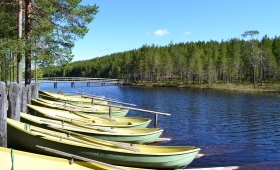 The Finnish Fishing Act and Fishing Decree set a framework for fishing in Finland. These documents define, among other matters, the catching seasons and minimum catch sizes of fish species. Additionally, the owner and controller of a water area may set more detailed terms and conditions for fishing in their waters. On one hand, fishing arrangements and limitations aim to secure the viability of fish stocks and the natural reproduction cycles of fish species. On the other, they may aim to promote fishing as a hobby and make fishing more enjoyable for different groups of fishers (e.g., a permit area intended solely for children). The arrangements and limitations for a specific destination may be found in the permit terms and on the description page of the permit area. The planning of fishing activities is based on catch feedback. 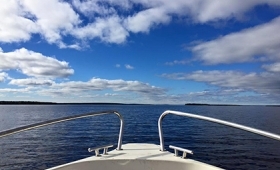 When an angler submits a fishing catch report after fishing at their favourite destination, they participate in the management of those waters. When discussing trap fishers, the catch reports submitted by net fishers are especially important. In 2008 we implemented KSSJ, a monitoring and planning system for fisheries management. 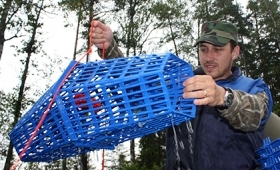 The system operates on the basis of catch feedback submitted by fishers. This service was supplemented in the April of 2011 with the publication of the free fishing log Tuikki.fi. This log allows fishers to enter a wide variety of fishing-related data, including catches, specific fishing locations, best lures and traps, weather conditions on the day, fishing stories and photos. Fishers also have the option to share their catch logs with their fishing buddies or keep them to themselves. The log can also be used on a mobile phone and users can upload photos of their catches directly to the log. Why should I make a catch report? Catch reports give Metsähallitus area-specific information on catches, catching methods and catching times. The summary reports drawn from this data are available at www.tuikki.fi. It is also important to submit a catch report even if you do not catch anything. The catch report form has a field where you can enter your views on how fishing and fisheries management could be developed in the area's fishing waters. The game and fisheries staff of Metsähallitus defines fishing quotas for fishing waters, i.e., places limits on how much fish can be lifted out of a water area. The setting of quotas is based on maintaining a sustainable fishing industry. In practice, this means limits on how many traps there can be in certain water areas and how many permits are sold for a specific fishing area. In addition to sustainable fishing, quotas are also set to make fishing "socially sustainable", meaning that sometimes quotas are set to make fishing more peaceful and pleasurable in certain waters. The quotas are based on the quota decision made by the Game and Fisheries Manager: Fishing Quota Decision 2014 - 2016 (PDF in Finnish). Fishing permits issued by Metsähallitus follow either absorption cost pricing or commercially determined pricing. The pricing decision is reinforced by the Decree of Public Charges given by the Ministry of Agriculture and Forestry. The same Decree also defines which permits follow absorption cost pricing and which follow commercial pricing. Other fishing permits not mentioned separately in the Decree. 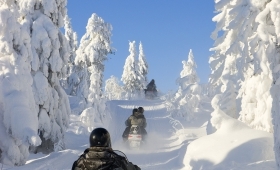 Payments defined in the Skolt Act (253/1995) and the Act on the Financing of Reindeer Husbandry and Natural Economy Industries (45/2000).